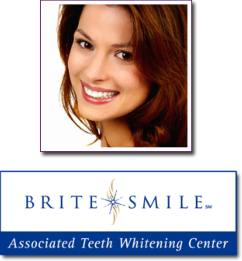 Having a whiter, brighter, more dazzling smile has never been easier! In fact, more and more people across our country are requesting whitening treatments as it has become the most popular smile enhancement treatment in the United States. Dr. Zarabian and her team offer excellent whitening options with immediate results. In less than an hour your teeth can be whitened up to twelve shades brighter (on average eight shades) with the use of the most advanced, patented, in-office laser whitening devices. According to the American Academy of Cosmetic Dentistry, most Americans associate healthy white teeth with success in love and business. If you are looking for immediate improvement consider ZOOM! Or BriteSmile. In less than an hour, Dr. Zarabian and her team can whiten your teeth up to eight shades using the patented in-office laser whitening systems. Dr. Zarabian and her team offer custom fabricated take home kits as well. These kits are made exclusively molded to fix your own teeth. Sensitivity during the treatment may occur with some patients. The minimal heat light generated by the ZOOM! or the BriteSmile devices are sometimes a source of discomfort. On rare occasions, minor tingling sensations are experienced immediately after the procedure, but always dissipate. Dr. Zarabian may also supply you with an anti-sensitivity toothpaste for use prior to treatment to help you avoid discomfort. There are many causes. The most common include aging and consumption of staining substances such as coffee, tea, colas, tobacco, red wine, etc. During tooth formation, consumption of tetracycline, certain antibiotics or excessive fluoride may also cause tooth discoloration. Virtually anyone wanting to whiten his or her teeth can benefit from the professional whitening procedures that Dr. Zarabian has to offer. People with severe food, coffee, tobacco or tetracycline stains can have their teeth whitened. Young adults 14 years of age and older are great candidates for the procedure, especially for those that have heavy staining after their orthodontic treatment is complete and their braces are removed. Dr. Zarabian may not recommend that you undergo this process if you are nursing, pregnant, or are receiving some type of orthodontic treatment. These factors will be reviewed with you by Dr. Zarabian at your initial consultation.